Indigenous healers throughout the Americas have used the potential healing properties of chaparral (Larrea tridentata) for millennia. Also commonly referred to as the Creosote Bush or Grease Bush, this plant is an evergreen shrub that grows in abundance in very dry and arid areas in the Southwest United States and in Mexico. Chaparral is a tough plant that can survive in altitudes of up to 3000 feet. There is even a chaparral ‘mother’ plant that is growing in the Mojave Desert that is believed to be an astounding 12,000 years old! Chaparral grows to approximately 2 -9 feet tall and has beautiful bright yellow flowers atop olive green leafy branches. The flowers generally bloom in the early spring with the seeds falling in the late springs. The branches and aerial parts of chaparral tend to be brittle yet resinous. After a light rain or in the early morning hours before the dew evaporates, hikers frequently can catch the scent of creosote which has a smoky smell similar to that of a well-established campfire. 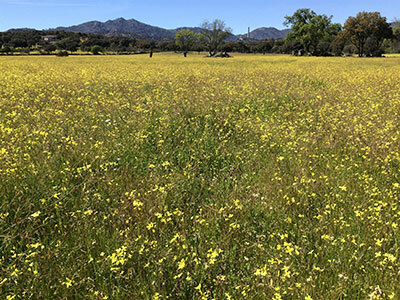 While chaparral can be gathered as it is needed, the medicinal properties seem to be at their peak if the plant is gathered in the spring once the seeds have matured or in the fall. Chaparral has been used for addressing a number of illnesses and afflictions. The properties of chaparral are used to address issues of urinary and respiratory infections, as well as to help speed recovery from colds or flu. The indigenous tribes of the Southwest and settlers also found that using the flowering tops of the chaparral plants is an excellent coffee substitute. In addition to all of these wonderful things, this herb also contains pain relieving properties which have been long acclaimed to assist in the treatment of arthritis or carpal tunnel syndrome when used topically. Chaparral is also recognized as a pain reliever and has been found to increase ascorbic acid in the adrenal glands and the immune system overall. Chaparral also has properties that can help prevent tooth decay when used as a mouthwash. Some traditional healers and herbalists have found that chaparral may be quite useful in addressing some forms of cancer. It does this by assisting the body’s lymphatic system and helping it to work more efficiently. This powerful herb contains antioxidants which are also antibiotic and antifungal in nature. According to the American Herbalist Guild (AHG) professional herbalist, Michael Tierra, one of the primary constituents found in chaparral, nordihydroguariaretic acid or NDGA has long been recognized for its anticancer and antioxidant effects. According to a recent study published in the Journal of Chromatography, NDGA shows great promise for inhibiting the replication of HIV agents in patients. Another earlier series of studies which had been conducted at the University of Utah strongly indicated that NDGA almost completely inhibited both aerobic and anaerobic glycolysis and respiration found within certain types of cancer, yet left normal cells unaffected. Dr. John R. Christopher of the School of Natural Healing asserts that NDGA is effective against molds and funguses such as salmonella and Penicillium. 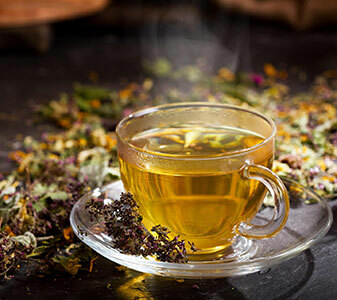 In one study conducted in 1959 by the National Cancer Institute, and then later replicated at the University of Utah several cancer patients noted improvement in their conditions after regular consumption of chaparral tea. In 1968, an 85-year-old man with a malignant carcinoma on his neck and cheek had undergone three separate surgeries to remove it. It was not until under the advice of a Native American herbalist that he began consuming chaparral tea. Eight months later he returned to the University of Utah where researchers noted significant regression of the cancerous growth. Not so well known is that chaparral even has properties that can help to prevent metals from rusting! That shows how powerful its antioxidant properties are. Chaparral on its own can have a bitter flavor. Putting together a tea that tastes great as well as being formulated in a way that makes the optimum use of the herbs was important to Sir Jason Winters when he formulated his Classic Blend Tea with chaparral. While there have been concerns raised about chaparral and its potential to contain certain compounds that can be toxic to the liver, as we have stated elsewhere here on our blog, Sir Jason wouldn’t have included this herb in his formula if he didn’t know that there were benefits to it! We’ve made certain to put in just the right amount of chaparral for our teas and supplements to ensure that they are safe. With that in mind, however, those who do have liver or kidney disease or who are pregnant may want to avoid using chaparral until discussing it with a physician or other healthcare professional. Ideal times to enjoy teas containing chaparral are in the morning before breakfast, before lunch or before bed. Ideally, 2 -3 cups of tea containing chaparral per day is generally considered a good amount. When using loose leaf tea, use two teaspoons to one pint of boiling water. Allow the tea to steep 15 minutes before drinking. If you wish, you may add a bit of stevia or raw honey to sweeten. If you wish, you may also use Sir Jason Winters formula with chaparral as a sun tea. Simply add two teaspoons to each pint of water. Why not give Sir Jason Winters Classic Herbal Tea with Chaparral a try today? Or if you prefer, try Sir Jason Winters Tea in tablet form with our Tribalene with Chaparral formula. They are made with the same formula as our tea as well as Capsicum added to activate the healing properties of the herbs. Either is perfect to enjoy whether you are at home or on the go! The Complete Writings of Dr. John R. Christopher (http://online.snh.cc/files/2100/HTML/100hs_chaparral__larrea_tridentata.htm), web.